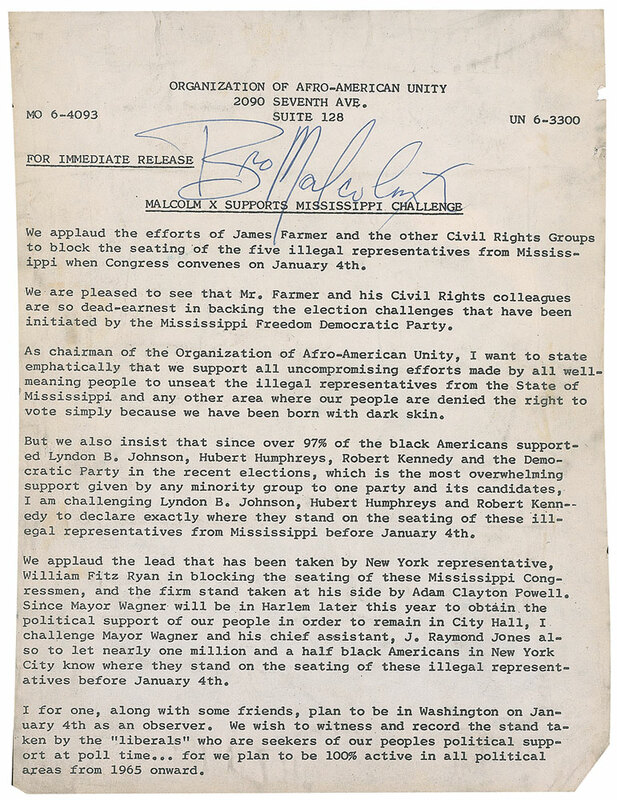 This is a January 1965 letter from the Organization of Afro-American Unity to CORE's national director James Farmer in support of his actions with the Mississippi Freedom Democratic Party. It is signed by Malcolm X. Organization of Afro-American Unity, “letter from Malcolm X in support of James Farmer,” corenyc.org, accessed April 21, 2019, http://www.corenyc.org/omeka/items/show/336.